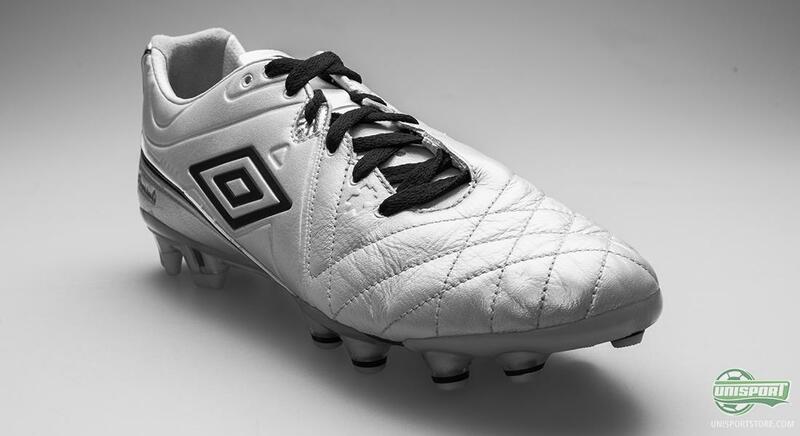 Umbro are far from done with their resurgence on the boot market and now the time has come to improve on their already legendary boot. We are now ready to unveil the brand new Umbro Speciali Pro IV Pearlized white/Black/Silver, that for many years has been the leading light in the English brands collection. 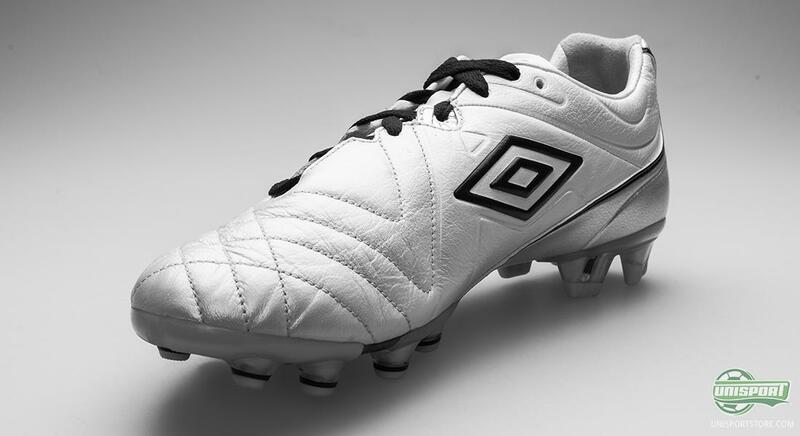 Umbro Speciali Pro is a very famous boot on the market and the iconic boots have, in their time, graced the field on the feet of some of the worlds most prolific names. Among them the Newcastle-legend Alan Shearer, who used the boot throughout the entirety of his career and helped it become the legend, that it is today. 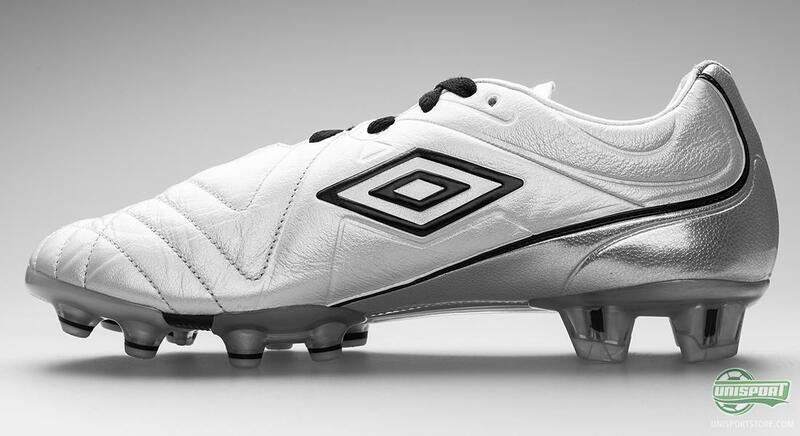 Times have changed since then, but Umbro have far from allowed themselves to dwell in the past. The aesthetics is always a tricky business and Umbro have resisted the temptation of flamboyant colourways. 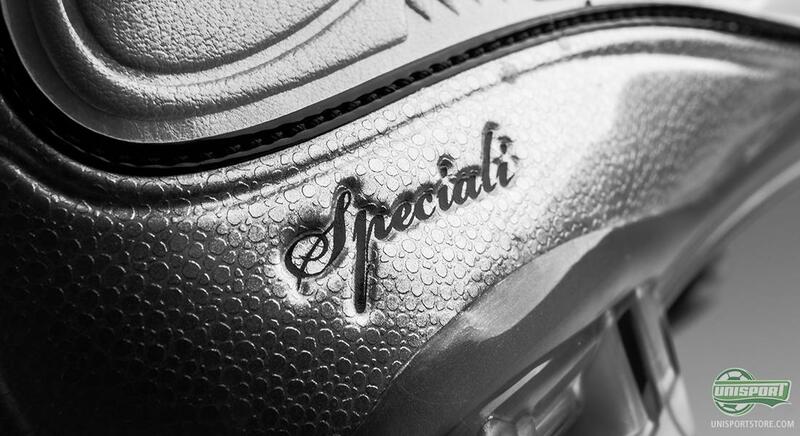 They have gone for a design comprised of White, Black and Silver, which makes it both classy and stylishly clean, so it can live up to the standards set by its predecessor and make the Speciali IV to a modern classic. 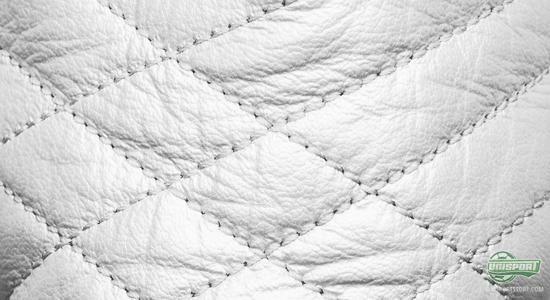 A lot of care has been put into making sure, that there are no unnecessary design disturbances and that the smooth lines make it a tasteful and timeless choice, just like its forefathers. 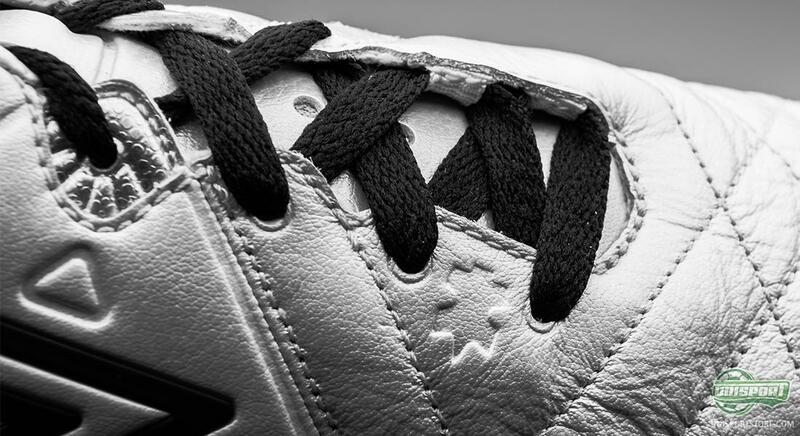 Many of the qualities, that the Umbro Speciali IV boasts, are a direct result of the delicious leather upper and as always the Brits deliver on this front. 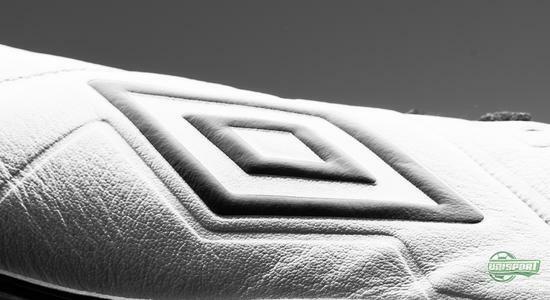 Umbro have gone for a soft and flexible leather of the highest order and this helps to ensure the infamous comfort, which the English brand has for many years been world renowned for. 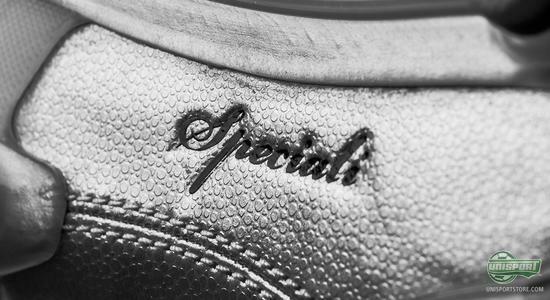 It covers the boot from heel to toe and shapes itself after your foots features across the line, which gives a sublime fit. 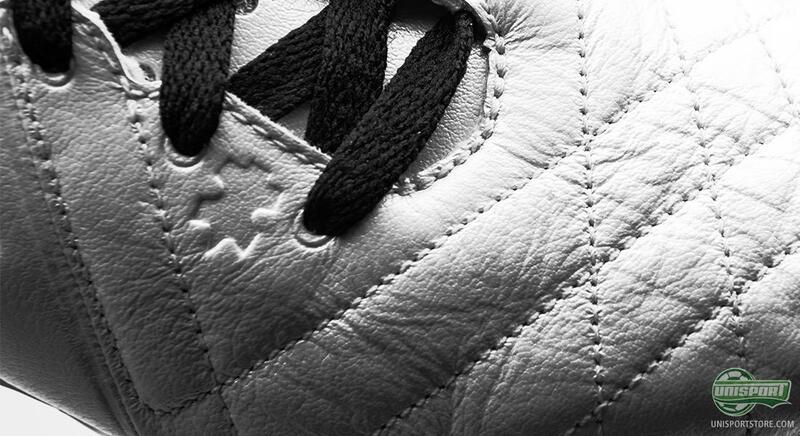 The soft leather also helps to give a natural and elegant touch on the ball and to help this further, they have strategically stitched the front foot. 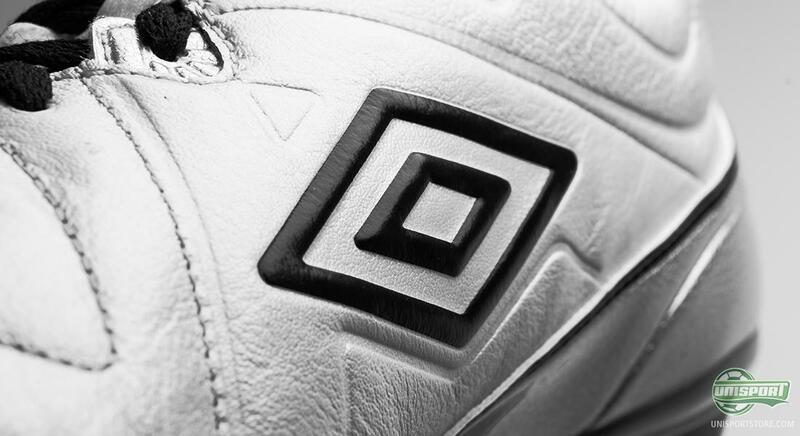 The stitching makes sure that the leather moves in the best possible way in correlation to your foots position, and this will give you the best possible predispositions for ball control. 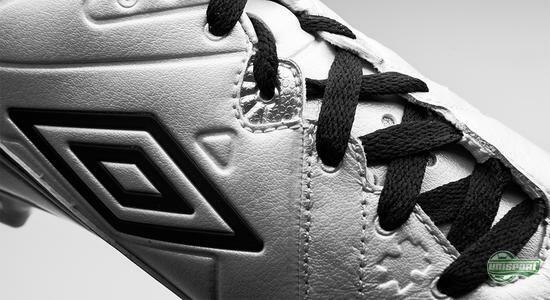 Unlike the earlier generations of the Umbro Speciali, they have chosen to give the boot an asymmetrical lacing. 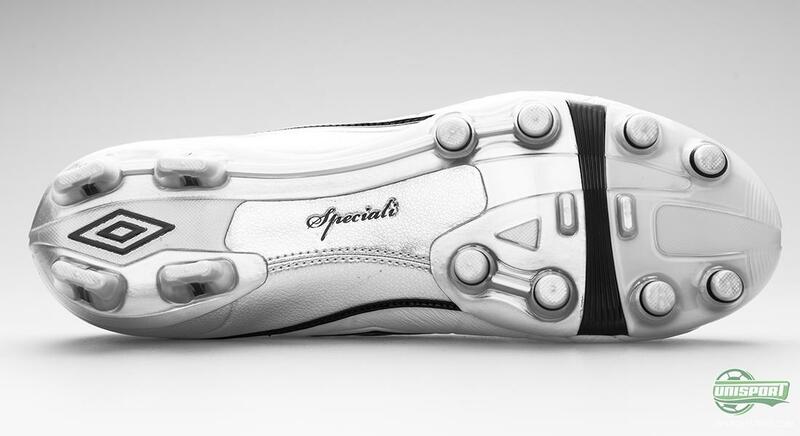 This helps to give a bigger and cleaner area of impact, which helps you strike the ball with greater accuracy on the medial side of the boot, as well as the instep. This also helps you to get control over the ball quicker and generally raise your game as a result. We will most definitely see the loaned out Liverpool-striker Andy Carroll in the new Umbro Speciali IV in a not too distant future and it looks like the English brand is focusing on young British players to promote their boots. They have, for example, signed contracts with a number of leading talents, like Liverpools prodigy André Wisdom, Conor Coady and naturally formerly mentioned Carroll. We predict a revitalisation for Umbro and only expect them to go from strength to strength in the time to come. The stud-configuration has been given a very classic design with conical studs on the front foot, for maximised stability and to facilitate small jinks and turns on tight areas. 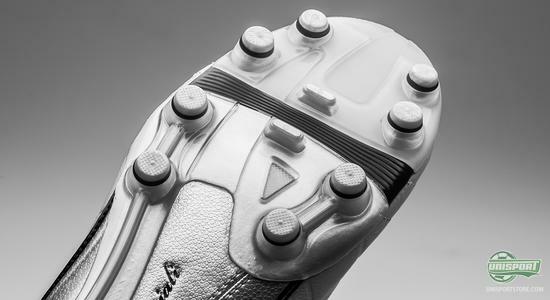 On the heel they have chosen to use bladed studs to increase both your acceleration and help you to break at speed. Furthermore, the stud-system has the advantage, of having HG-studs, that are well suited for use on hard surfaces and you can therefore use your Umbro Speciali Pro IV on both normal grass and artificial grass, without losing your right to return. Umbro continue their triumphant comeback and with the Speciali Pro IV, they have once again clawed their way into our conscience. A price friendly leather boot with good durability, versatility and much, much more. What do you say to that? Share your comments with us in the box down below.